Saturday’s April 6th & 13th & Good Friday the 19th and Saturday 20th. 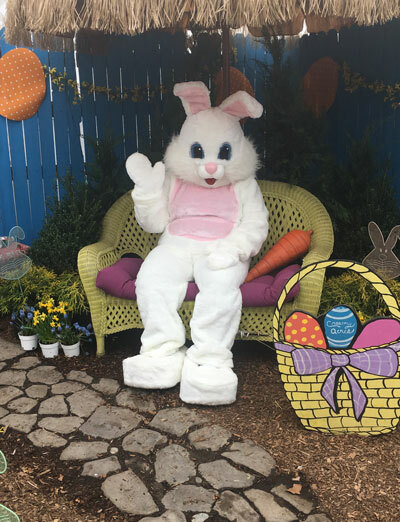 Hop on over to Creamy Acres for a fun filled day and see what spring has to offer! Kids can take a hayride down the bunny trail to the Egg Hunt, hop back onto the wagon and go to bunny land. In bunny land, your Lil’ Peeps will meet the Easter Bunny and exchange the eggs (empty eggs) for a special prize! Take pictures, play a game, visit the barnyard petting area or browse around our Garden Center and see what’s HOT this year for your garden and flower bed needs. Be sure to bring your Easter Basket for Gathering of Eggs! Schools & Daycares are welcome please call 856-223-1669 for reservations. Rain or Shine the Easter Bunny is inside! Milk A Cow, Feed the Animals, Farm Chores, Collecting Eggs, Gardening & Planting Flowers, Hayrides, Games, Arts & Crafts, Water Slides, Scavenger Hunts & More! Our young farmers will have jam-packed days full of varied activities including chores, animal care and knowledge, crafts and team-building games. 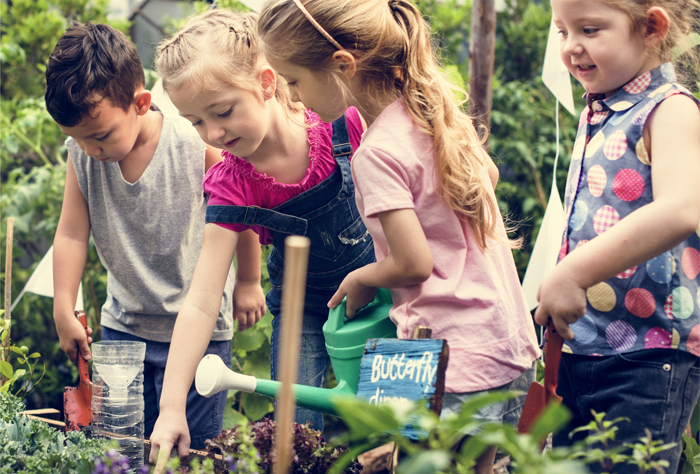 Our Camp Director (NJ Certified Teacher) and her helpers will have the run of the farm, doing day-to-day activities of farm life, the simple pleasures of being outside and enjoying nature. Come make great summer memories on the farm. Click here for registration and other details! See you in Fall of 2019! 30 minute round-trip ride around the farm. “Individual” patch has pumpkins weighing 4 to 25 pounds; each pumpkin is priced per pound. The Pumpkin Patch & Kiddie Corn Maze is available on Saturdays in September from 10:00am to 4:00pm and Monday through Friday in October from 1:00pm to 4:00pm (HAYRIDES RUN ON THE HOUR). The KIDDIE CORN MAZE IS ONLY AVAILABLE WHEN YOU TAKE THE HAYRIDE. Appropriate for all ages. “Group” patch has small pumpkins weighing 3 to 6 pounds. There is also a small walk through corn trail that the children can do as they enter this pumpkin patch. The cost is $5.00 each to include the ride, the trail walk and small pumpkin. This patch is available for groups of 15 or more weekdays only in October from 10:00am to 2:30pm. This activity must be scheduled in advance. Appropriate for daycare and school field trips. Try out our themed “COWMOGIE” Corn Maze, find the answers and win A PRIZE! Corn Pit, Cow Train, Pumpkin Painting, Face Painting, Bouncy Ball and other fun games. Also, part of Field of Fun are the PEDAL KARTS that you can pedal around a race track… for big kids, little kids & Parents too! Available Saturdays (beginning 9/22/18) in September and IN October from 10:00am to 4:00pm. Night of Terror is the largest and scariest haunted attraction in NJ. Night of Terror boasts one of the oldest and largest corn maze as well as the first Haunted Paintball Hayride Zombie Hunt’s in the country. Come visit Night of Terror’s – Ride of Terror the best Haunted Hayride in NJ. This ride is so good that it was featured on HGTV’s Scariest Haunted Houses. Creamy Acres has transformed its dairy farm into a Christmas Wonderland filled with huge sparkling light displays. Enjoy fun for the whole family with an old fashioned hayride, snuggled under a blanket and listening to all of your favorite Christmas Songs. Ride through our live Nativity Scene featuring everyone’s favorite farm animals. Our Night of Lights Country Christmas Hayride and Light Extravaganza is sure to please kids of all ages, come to our Down Home Christmas and make memories that will last forever.